Karbonn on Thursday unveiled the Aura Note 2 smartphone with an artificial intelligence (AI)-based solution at Rs. 6,490. It is available in Coffee-Champagne and Black-Champagne colour variants. The company is touting a fashion-centric app that uses AI-based technology to find matching apparel from photos. 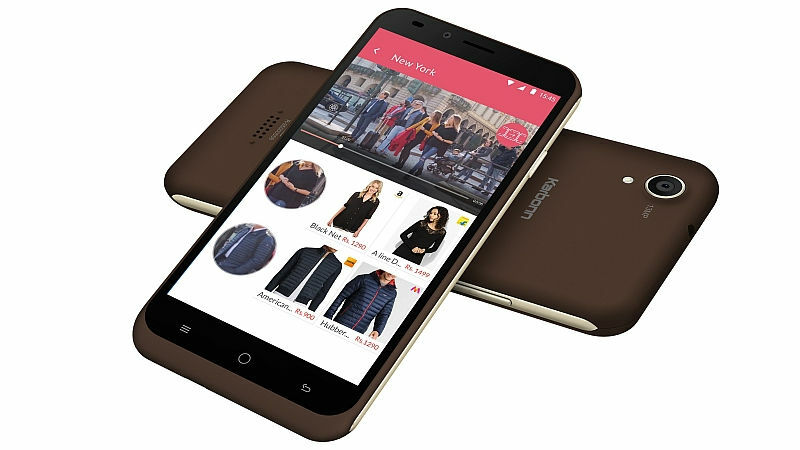 Commenting on the launch of the Karbonn Aura Note 2, Shashin Devsare, Executive Director, Karbonn Mobiles, said, "With this, we aim to enrich the experience of our users making fashion as effortless as it can be. A balance of simplified technology and innovation, 'Aura Note 2' will surely be a sought-after smartphone." The Karbonn Aura Note 2 comes integrated with an app 'Vistoso' which allows users to search for an outfit by simply clicking its picture, with the AI engine of the app automatically recognising the print, pattern and colour of the outfit to give relevant results. The dual-SIM Karbonn Aura Note 2 smartphone runs Android 7.0 Nougat, and sports a 5.5-inch HD (720x1280 pixels) display. It is powered by a 1.25GHz quad-core SoC, coupled with 2GB of RAM. For optics, the Aura Note 2 sports a 13-megapixel rear camera alongside a 5-megapixel front camera. The smartphone bears 16GB of inbuilt storage that can be expanded via microSD card (up to 32GB). Connectivity options on the Karbonn Aura Note 2 include 4G VoLTE, Wi-Fi, GPS, Bluetooth, USB OTG, and FM radio. Sensors on the phone include accelerometer, ambient light sensor, and proximity sensor. It is powered by a 2900mAh battery, measures 115x78x8mm, and weighs 164 grams.